Over the last 15 years, selective prefluxing – also called paint fluxing or binderbased fluxing – has evolved as an alternative method for applying flux powder in the aluminium brazing industry. There are many activities to define process parameters of fluxing with adhesives. The first part of this paper outlines key features of prefluxing. The methodology for measurements of physical characteristics of binders and paint flux mixtures are described. General rules for behaviour of flux paints in brazing process are discussed together with some examples of flux paint features. In the second part a case study is shown to illustrate common challenges when brazing with flux paint. The third and last part of this paper provides a cost comparison as guidance for choosing the right fluxing method for two different cases, one being extremely negative and the second as a positive case. The fundamental condition for successful brazing is having a substrate surface which is well wetted by a molten filler alloy. Any binder as an organic compound contains carbon. This carbon must be removed before brazing, otherwise it will form a very thin deposit on the substrate surface preventing wetting by the molten filler alloy2. When the flux paint is deposited on open surface areas, like for example on the radiator headers, there is no issue to remove the binder by evaporation at higher temperature. However, when the flux paint is applied in enclosed spaces, like for example on inner surfaces of condenser manifolds, the removal of binder becomes challenging. Proper de-bindering conditions must allow the binder fumes to escape completely. Residual binder – like any other trace organic – carbonizes during the brazing cycle – causing surface discoloration and potentially poor brazing. Fig. 5 shows a leak in the tube apex. The condenser manifold was made of two halves: cover and header. Only the cover part was prefluxed by immersion. Composition of the flux paint: flux ~ 30%; carrier (acetone) ~ 62%; binder (polymethyl methacrylate) ~ 12%. Fig. 5: Leak in tube to manifold joint in condenser with manifold half flux painted by immersion. The gap size between the tube and manifold is in the range of 40µm, which is well within the maximum recommended tolerance. Fig. 6: Dark field image of the non brazed tube to manifold joint. 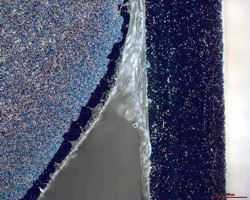 Dark field image of the non brazed joint showed that the gap is filled with transparent substance. Investigation by Scanning Electron Microscope revealed that the joint was completely filled with post braze flux residue. Fig. 7: Mapping of potassium in the non brazed area of the joint. The tube surface presented in Fig. 7 shows very uneven flux distribution. There are areas completely free of potassium (flux) and areas covered with a layer of flux. This would indicate that the tube surface was not completely wetted by flux upon application. Such “poisoning” of the surface can appear when it is contaminated with carbon. 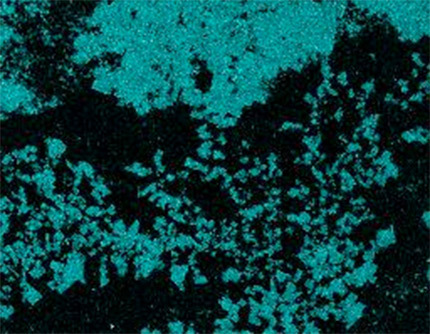 Though the overall level of carbon (as examined be SEM) is low, its distribution is uniform. The carbon most likely originated from binder traces. It seems that during debindering treatment the carbon got embedded into the aluminium oxide layer. Such a modified aluminium oxide layer is more difficult for the flux to remove. In the following section we will present two examples of such calculations. It must be pointed out that the quoted numbers, though not far away from the values one can see in an aluminum brazing factory, may always differ from case to case. Thus the presented calculations should be considered only as a tool in which individual data needs to be fed, not as an indication which fluxing method is better. 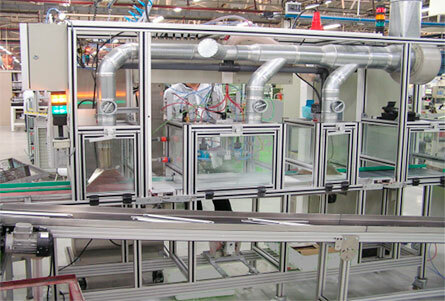 In the modified condenser production, the tube to fin joints are realized by tube precoating with NOCOLOK Si Flux3 – while the manifolds are prefluxed with a water based flux paint. This concept allows for complete elimination of the fluxer and the thermal degreaser from the brazing line. The dryer then acts as preheat and oven, where partial debindering takes place. Fig. 8: Standard and modified process flow for condenser production. Table 3 shows assumed input values like for example cost of electricity and the difference between the cost of standard process and modified one in the above listed categories. The whole calculation is done in an excel table where one can play with different input data which shows how sensitive the overall cost is to a change in a given parameter. 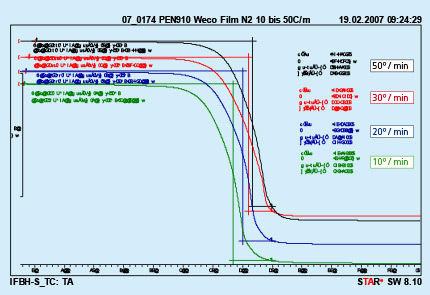 In this case analyses showed that the most sensitive factor is the cost of the Sil Flux precoated tubes. Change of price in tube material by 10% can entirely reverse the final result. Table 3: Example calculation for standard and modified condenser manufacturing. Production level 200 pcs/hour. Charge Air Coolers have one characteristic feature. Inside the tubes there are turbulators to make the flow of the hot compressed air more turbulent to increase the transfer of heat from the air to the tube walls. A condition to secure sufficient tube resistance to the inner pressure is to have all turbulators uniformly brazed to the inner tube surface. This requires fluxing of the tube’s internal surface. The most robust method is fluxing by immersion. This however produces higher post brazed flux residue levels and it is usually a bottle neck in the continuous production flow. The other method is to apply a high pressure spray of flux slurry across the tubes. When combined with cross blow of high pressure air it secures proper inner fluxing even up to 900mm long tubes. This method does not slow down the production flow in a continuous line. 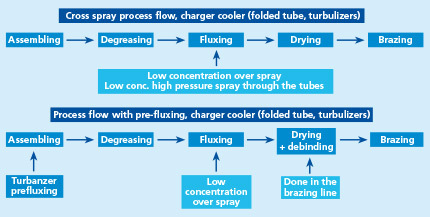 For comparison the latter cross spray fluxing method is compared with prefluxing of turbulators. It should be remembered that wet fluxing is applied on tube to fin joints in both cases. Fig. 9: Standard and modified process flow for charger coolers production. Table 4: Example calculation for standard and modified charge air cooler manufacturing. Production level 200 pcs/hour. In this example there is no major change in the brazing line and as a matter of fact an additional entirely separate operation is added. This situation is somewhat improved when the flux painting process of the turbulators is incorporated into the tube making unit; however it eliminates only the negative effect of additional labor. 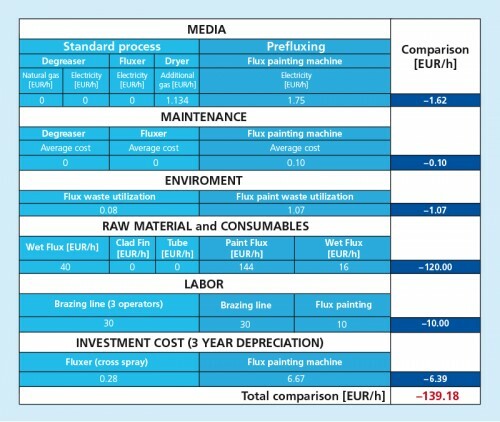 The major cost is connected with consumption of flux paint. On average the cost of flux paint is about 20% higher than the cost of flux. Assuming liquid flux paint consumption of 4 grams per one turbulator and 50 grams of flux powder used on one charge air cooler fluxed by cross spray we will end up with such high difference in cost. In spite of this fact there are production lines which use the flux painting applied on turbulators. What level of adhesion is required? Are we going to deal with binder removal from enclosed spaces? Is the binder vapor going to affect my equipment? will there be real cost benefits? In the case of cost calculations for NOCOLOK Sil Flux coated extruded condenser tubes the major factor influencing the overall cost is the cost of the coated tubes. Though the presented calculation is only an example and can slightly vary from case to case, it is the authors’ opinion that in certain cases the introduction of this technology can be justified by cost savings. In the case of flux painted turbulators for charge air coolers, the major factor influencing the overall calculation is the cost of flux paint. It seems that such process is not always justified from the cost point of view. Over the last 15 years, selective pre-fluxing – also called paint fluxing or binder-based fluxing – has evolved as an alternative method for applying flux powder in aluminium brazing industry. There are many activities to define process parameters of fluxing with adhesives. The first part of this paper outlines key features of pre-fluxing. The methodology for measurements of physical characteristics of binders and paint flux mixtures are described. General rules for behaviour of flux paints in brazing process are discussed together with some examples of flux paint features. In the second part a case study is shown to illustrate common challenges when brazing with flux paint. 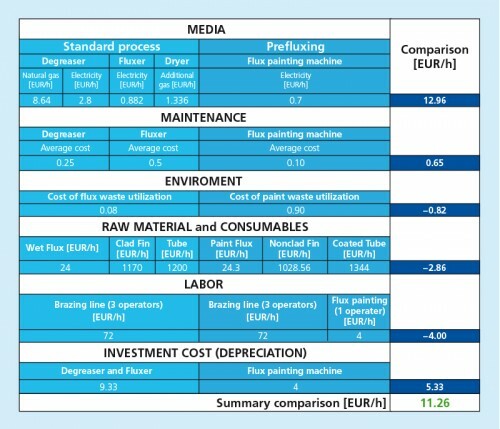 The last part of this paper provides a cost comparison as guidance for choosing the right fluxing method for two different cases, one being extremely negative and the second as a positive case. Table 1: Main groups of flux binders / flux paints. One of the most important characteristic of a binder is the kinetics of binder removal. This property is measured by a method called Differential Thermal Analysis [DTA]. The specimen (binder or flux paint) is placed in a small crucible and heated with a preset rate. The device measures the change of weight of the specimen and heat emitted or absorbed by the sample. The test can be done in air or at a chosen gas atmosphere. Fig. 1: DTA curves obtained from solid flux paint sample. Test performed in air. The upper curve represents lost of weight upon heating, and the lower curve represents thermal effects appearing in the heated sample. 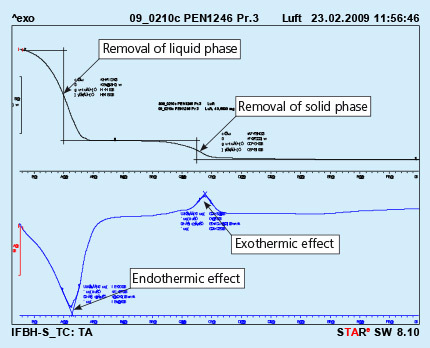 The endothermic effect is associated with evaporation of the sample and the exothermic effect is usually connected with burning of the sample. It should be observed that the above curves represent a sample of liquid flux paint. The removal of the the liquid phase (carrier evaporation) takes place during curing of the painted part. This process is always done before putting the parts into the brazing line. For flux paints made with water as a carrier it is simple evaporation. Removal of the solid phase (cured binder) takes place at much higher temperature then evaporation of the carrier. It usually happens in the brazing line – in the dryer and partially in the brazer. Kinetics of the solid phase removal is shown in Fig. 2. In this case the analyzed sample is prepared by painting a metal surface, curing the paint and careful scratching off the solid paint, which is then analyzed in DTA device. Fig. 2: DTA curves obtained from liquid flux paint sample. Test performed in air. As can be seen the end of the binder removal is in the temperature range of 450oC. 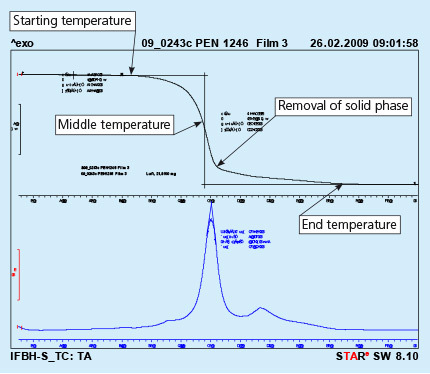 The above presented curves show the removal of binder at a constant heating rate of the sample (in this case 10oC/min). In the brazing line the prefluxed parts firstly go through a dryer where the temperature for dry parts is usually in between 200oC to 250oC. The parts for a continuous brazing line usually stay in the dryer no longer than 10 minutes. To simulate this condition, a dry flux paint sample was analyzed by DTA with a hold for 10 minutes at 300oC. As can be seen from Fig. 3, holding at constant temperature for a prolonged time does not lead to full removal of the binder. In the given case only about 36% of the binder was removed. Fig. 3: DTA curves with holding time 10min. at 300oC Test performed in air. Different furnace design and different size of the brazed parts are responsible for different heating kinetics in the brazing lines. An influence of different heating rates on kinetics of binder removal is shown in Fig. 4. Fig. 4: DTA curves with different heating rates Test performed in nitrogen. The curves presented in Fig. 4 were obtained from analyzing a polyurethane binder heated in nitrogen atmosphere. It can be seen that only the middle temperature is moved to higher values with increased heating rate. The beginning and end of the debinding process do not depend on the heating rate. Several examples of debinding temperatures for different type of binders are presented in table 2. Table 2: Examples of debinding temperatures for different types of binders. In aluminium brazing industry fluxing is one of the most important steps in the production process. Flux water slurry application is considered as a standard and as a matter of fact very robust methodi. 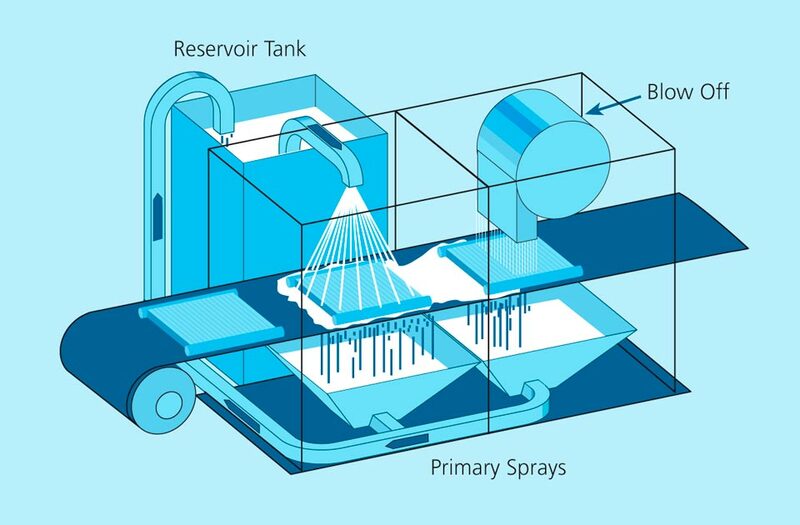 We believe that about 70% of overall fluxing activities are done by flux water slurry spray. This method has however certain disadvantages like troublesome slurry preparation and requirements for large and sometimes expensive machinery. In order to lower production costs, new fluxing technologies have been introduced. One of them is called paint fluxing or binder-based fluxing which allows for elimination of wet fluxing process from the brazing line. Actually, the prefluxing process can be even done by an external company/subcontractor. It is nevertheless still a process of coating, which is done to particular component surfaces of the whole assembly – usually before the components are assembled. In the industrial practise – particularly when one is in contact with many different users of the prefluxing technology – it is quite important to define the basic features and properties of discussed technology. Organic complex compounds, which are activated by curing – to provide adhesion of flux particles to the painted surface. Organic substance, which is used to adjust viscosity and to facilitate re/mixing of the flux paint. Drying of the painted parts – usually with a blow of hot air (about 150°C). During that process liquid carrier (water or organic solvent) is evaporated and binder becomes activated to provide adhesion. 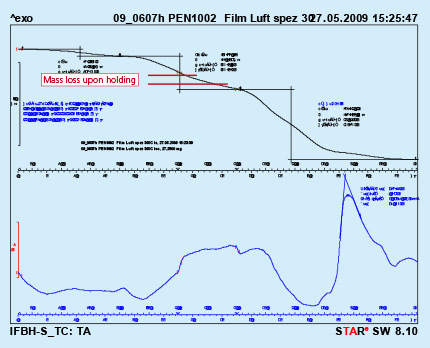 Qualitative or quantitative measure by which strength of the flux particles bonding to the painted surface is determined. There are many different methods to describe adhesion of the flux paint. At Solvay we are using a simple quantitative method: A coated and cured coupon is placed in a holder positioned on a scale, a steel wedge is moved along the coupon with a gradual pressure increase. The weight at which the first scratches appear is a numerical value for adhesion. Removal process of the binder from the painted surface done by treatment with high temperature, either in air or in ambient atmosphere. Binder must be removed before reaching brazing temperature; otherwise the carbon residue will interfere with the brazing process – leaving both black stains on the part surfaces and very often leading to lack of brazing. Removal of the binder is done by applying high temperature to the assembled parts. In most cases the process of binder removal is realized in the brazing line both in the dryer and brazer. The process of coating can be done by spraying, roller coating, brushing, or dipping. Uniformity of coating is very important, any agglomerates and lumps must be avoided. The flux paint can be prepared without thickener. Practically it is required in the mixture when a longer storage is expected (i.e. more then few days). There is an optimal temperature for curing resulting in maximum adhesion. Curing at ambient temperature is possible, but it will yield lower adhesion. Curing at too high temperature can lead to significant loss of adhesion. Apart from the curing condition, adhesion also depends on the ratio of binder in the mixture (the more binder in the mixture the stronger adhesion), and the type of the binder (as a rule of thumb: the higher flash point of the binder the stronger adhesion). The most common method for prefluxing with binder mixture is using an atomized spray method on a machine which performs degreasing, painting and curing.